Nicht nur ist Fracking unwirtschaftlich, es ist auch gefährlich: OilPrice.com Zum zweiten Mal in zwei Wochen, seit Cuadrilla an einem Explorationsstandort im Nordwesten Englands mit dem Fracking begonnen hatte – zum ersten Mal seit sieben Jahren in Großbritannien -, musste das Unternehmen den Betrieb am Montag aufgrund eines mikro seismischen Ereignisses stoppen. Cuadrilla bestätigte, dass am Montag um 11.30 Uhr Ortszeit ein mikro-seismisches Ereignis mit einer Stärke von 1,1 auf der Richterskala festgestellt wurde, während das Team am Preston New Road-Schiefergas-Explorationsgebiet in Lancashire hydraulisch zerbrach, teilte das Unternehmen heute mit. According to regulations, in case of micro seismic events of 0.50 on the Richter scale or higher, fracking must temporarily be halted and pressure in the well reduced. “This is the latest micro seismic event to be detected by the organisation’s highly sophisticated monitoring systems and verified by the British Geological Survey (BGS). This will be classed as a ‘red’ event as part of the traffic light system operated by the Oil and Gas Authority but as we have said many times this level is way below anything that can be felt at surface and a very long way from anything that would cause damage or harm,” Cuadrilla said. “Well integrity has been checked and verified,” the company said, noting that in line with regulations, fracking has paused for 18 hours. Cuadrilla had paused fracking at the site on Friday morning after a 0.76 on the Richter scale micro seismic event was recorded, the latest of some dozen seismic events since fracking started, but the first that was above the 0.5 threshold. 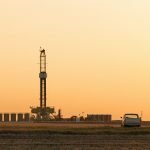 The seismic event on Monday was the strongest yet to be recorded since Cuadrilla started fracking at the exploration site two weeks ago, on October 15. Anti-fracking activists say that there have been now 27 seismic events since October 15, Blackpool Gazzette reports.